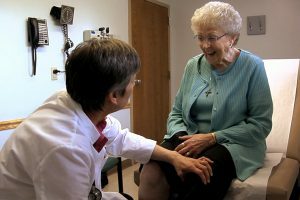 Upper Great Lakes Family Health Center (UGL) began in 2009 as a vision of Dr. Catherine Kroll to provide quality healthcare for all people in the Upper Great Lakes region. Since then, the health center has grown from a single location to 11 clinics in 9 locations serving more than 25,000 patients every year. 2009 – UGL becomes an FQHC look-alike. 2013 – UGL receives Federally Qualified Health Center (FQHC) status. 2014 – Ontonagon Community Health Center and Menominee Family Health Center join UGL.